Hire Australia’s Matt Reeves never misses a beat when it comes to integrating the access industry’s latest and greatest innovations into his burgeoning Warrnambool-based hire access business. Formerly called South Coast Forklifts, Hire Australia started in 2009 as forklift specialist. It has since focused increasingly on access equipment with Genie, a prominent brand among its 55-strong fleet. In autumn 2017, Reeves read with interest an article in Blue News, about how a Genie® SX™-180 boom lift was slashing the costs at a Tasmanian wind farm and boosting efficiencies. The potential cost savings is another tick in the box for the Genie SX-180 boom lift. “It’s more valuable to wind farm operators because if there is poor weather, they’re not paying for a crane to sit idly on standby all day,” notes Reeves. “Then if there is an hour’s gap in the weather, the Genie SX-180 boom lift can get in and do some maintenance work.” Moreover, the telescopic boom with its vertical reach of 180 ft (54.9 m) and a horizontal reach of 80 ft (24.4 m) is probably 50% cheaper to hire than a crane, according to Reeves. Moreover, the event garnered widespread media coverage including a significant editorial in the Warrnambool Standard and ABC radio. 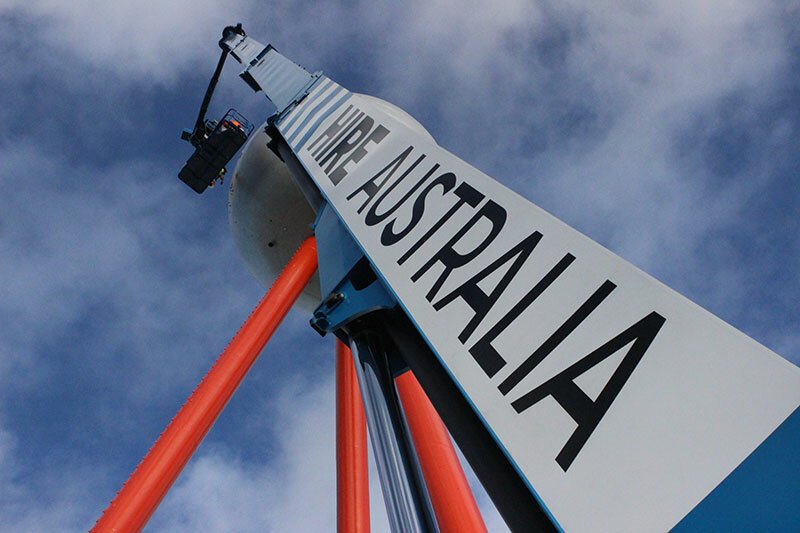 The media reporting is sure to help promote Hire Australia, and the capabilities of its boom lift goliath to the local business community.